No doubt the All-Star "Galaxy" pack release contributed to David's look here. 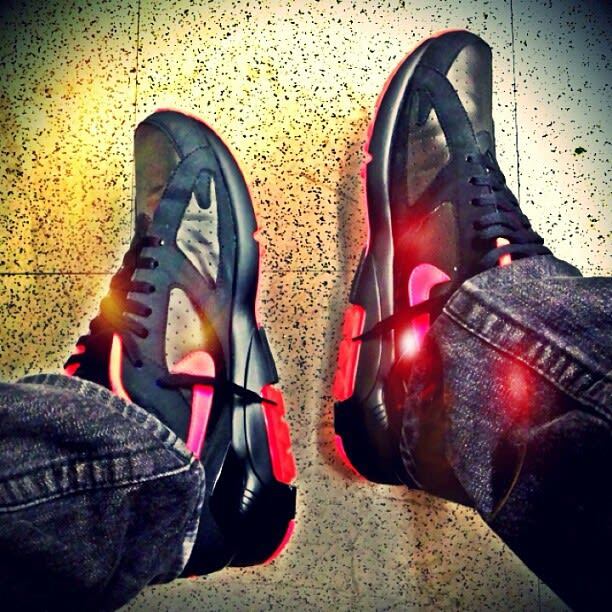 The Air Max 180 options allowed him to put out a dope black and pink feel without looking too College Dropout forced. We realize part of the appeal to these is the Instagram filter, but ill kicks nonetheless.